IT’S GIVEAWAY TIME at St. George’s! 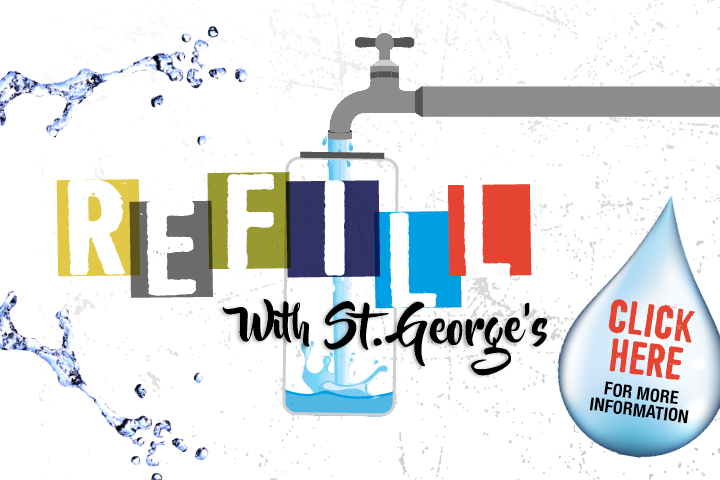 Have you got one of our ST. GEORGE’S REUSABLE WATER BOTTLES and LOYALTY CARDS?! It’s time to enter our PRIZE DRAW for the chance to WIN cinema tickets, gift vouchers, free food and LOTS more.